#Innsider, do you love culture? Always dreaming about going on an adventure and get to learn some more about the Spanish culture outside Madrid? But you have no idea where to go? Then you would love this article with a list of the cities worth visiting around Madrid. 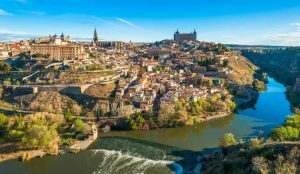 Until you’ve seen Toledo, you haven’t seen Spain… Toledo is one of the most beautiful cities near Madrid and declared a World Heritage Site by UNESCO. This city has more than 100 monuments and historical areas, such as churches, mosques, palaces, synagogues and fortresses, thanks to its interesting history! It’s also known as the «City of the Three Cultures» because of the cultural influences of Christians, Muslims and Jews. 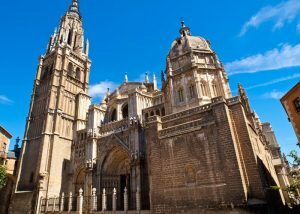 The Cathedral of Toledo is a perfect example of historical architecture; some call the church the most beautiful of it’s kind in Spain. The Alcázar is the Museum of the Army with various exhibitions, located in the highest hill of the city. So it’s not only a great place to learn about the evolution of military strategy in Toledo, but it’s also worth seeing for its beautiful views. On the top floor you will find the new Castile-La Mancha Library. 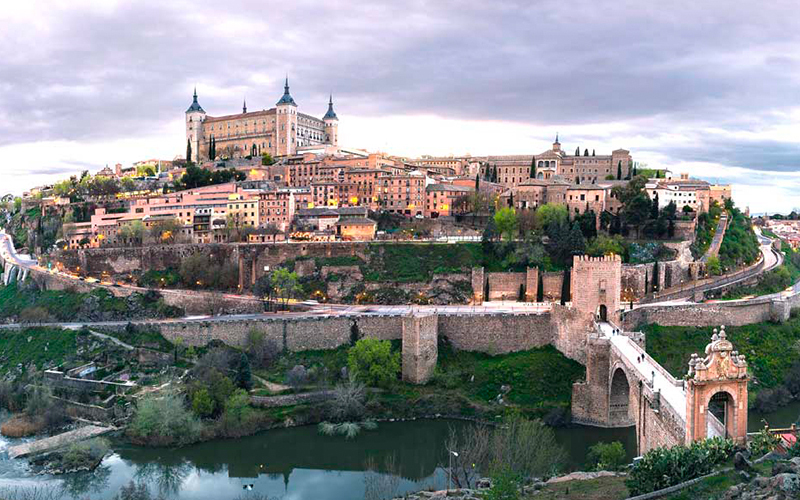 Another must-see is the Puente de San Martín, a medieval bridge built over the Tajo River. This bridge gives you a beautiful panoramic view over the old town. Other places worth visiting are La Puerta de Bisagra, an Arab construction that provides access to the old city, Monasterio de San Juan de los Reyes, a Franciscan church with also an Arab influence and Mirador del Valle, gives you a panoramic view from where the Tajo river, the Cathedral, the Alcázar and the tiny streets all can be observed. Good to know: you can travel there in less then 30 minutes by bus for FREE with your ‘Tarjeta transporte público’. Where are you waiting for #innsider? The same as Toledo, the old city of Segovia and its Aqueduct are declared World Heritage Sites by UNESCO. The old city contains historic buildings of Jewish origin, Romanesque churches, a cathedral and fortress surrounded by magnificent landscape. The Aqueduct of Segovia was built by the Romans and serves as the main entrance. You can’t miss this 28 meters high monument, because it’s an important symbol of the city. The best place to view is at Plaza del Azoguejo, where the aqueduct reaches its maximum height of 28 meters. The Alcázar of Segovia is a castle rising out on a rocky crag, which makes it one of the most distinctive castle-palaces in Spain with a fairy-tale impression. The views of the surroundings of Segovia are amazing from this vantage point. The Cathedral de Segovia stands at the highest point of the old town on the main square Plaza Mayor, which provides beautiful views. 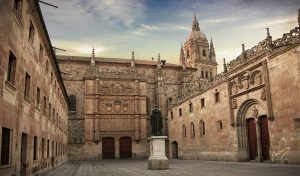 Enjoy the sidewalk cafés and medieval streets worth exploring on the square or the museum in the Cathedral, with a collection of gold and silver work from the 15th to the 18th century. The Walls of Segovia surrounds the medieval town with formidable ramparts starting at the Alcázar. Three of the old entrance gates still remain (the Santiago Gate, the San Andrés Gate and the San Cebrián Gate). How to get there: 2 hours by train from Atocha Cercanias, between €10,00 and €20,00 for a return ticket. Worth the money, right #innsider?! Salamanca is one of the most important university cities of Spain and declared a UNESCO World Heritage Site, also known as ‘The Golden City’, thanks to its sandstone buildings. Its historical centre is full of impressive monuments, such as cathedrals, Romanesque arches and palaces that make you feel like walking through an open-air museum. The streets are filled with students, which gives tourists a youthful energy. Plaza Mayor at the heart of Salamanca is considered one of the grandest squares in Spain and is surrounded by monumental buildings such as the Royal Pavilion, the Town Hall and the Palacio de Monterrey. 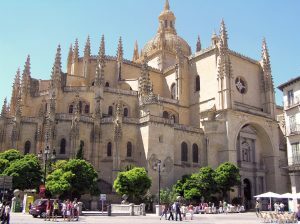 Other places worth visiting are the New and the Old Cathedral, free visit from 03:00 PM every day, and the House of Shells, palace decorated with carvings of scallop shells which is a symbol of medieval pilgrims traveling the Way of Saint James to Santiago de Compostela. This town is called the Town of Stones and Saints, and it claims that it’s one of the towns with the highest number of Romanesque and Gothic churches per capita in Spain. Surrounded by the walls, this town gives you the feeling that time has stood still. Catedral de San Salvador, built in the 12th century in Romanesque style, is integrated into the town walls. With beautiful features as stained glass windows, red and white granite stonework and the carved choir stalls. Las Murallas de Avila, built between 1090 and 1099, are the best-preserved town walls in Spain. There are nine entrance gates that are providing access to the city; the most spectacular ones are the Puerta del Alcázar and the Puerta de San Vicente. Other beautiful buildings to take a look at are Basilica de San Vicente, Convento de Santa Teresa and Real Monasterio de Santo Tomas. 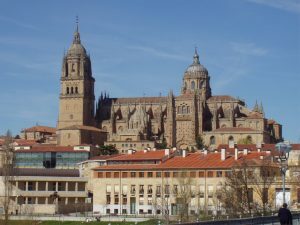 Tip: when you go by train it is a good option to combine a trip to Avila with Salamanca. Start in Salamanca and on the way back you can get out of the train in Avila. Say yes to new adventures, #innsider.